GC Rieber Shipping ASA's 50% owned geoservices company Shearwater GeoServices (Shearwater) has been awarded a 3D broadband marine seismic acquisition contract by ONGC for the planned 2017/2018 field season. The surveys are expected to take approximately five months with the main streamer vessel mobilizing to the APAC Region in the fourth quarter 2017. Irene Waage Basili, CEO of Shearwater comments: "This is the second consecutive year Shearwater will work for ONGC. A pleased customer is a repeat customer and we see this award as a testament of the quality of the deliverables from the Shearwater organization. We know the operational area well and in the challenging market we are all experiencing today, we are very pleased to have secured this contract which gives us full utilization for one of our vessels through the winter season." 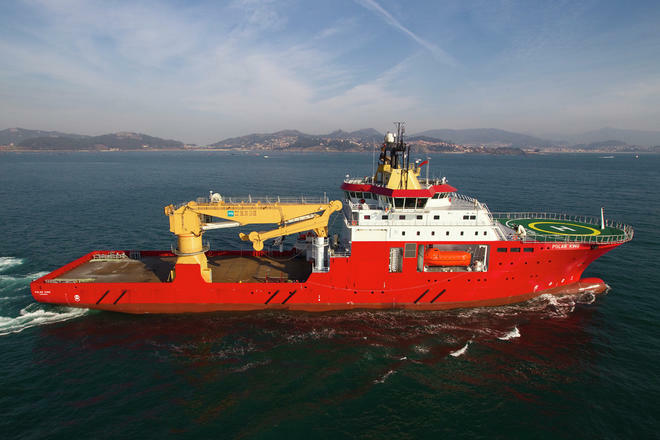 Shearwater GeoServices is a marine geophysical services company jointly owned by GC Rieber Shipping ASA and RASMUSSENGRUPPEN AS. The company has a fleet of four modern seismic vessels, a broad offering of high quality geophysical services including advanced processing and acquisition techniques, and two owners with complementing skills and collectively a long experience in the industry. "Shearwater has been operative since December 2016 and performance during the first year has exceeded the plans that formed the basis for establishing the company. We are proud to say that we have been able to maintain our solid financial platform despite a very challenging market situation through 2017", says Irene Waage Basili.